Forest View. 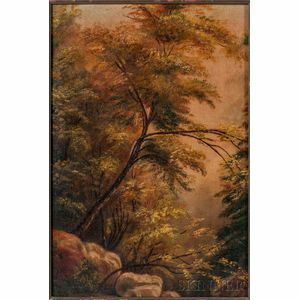 Signed "W. Whittredge" l.l. 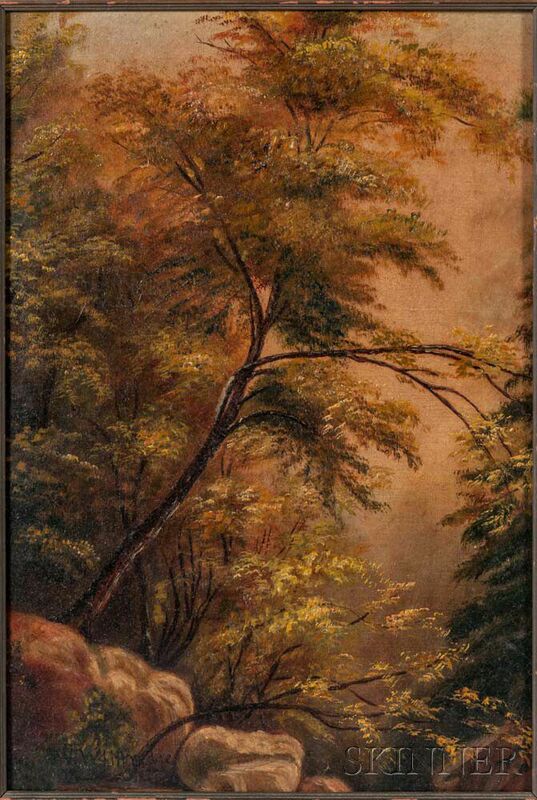 Oil on canvas mounted to pressed paperboard, 14 x 9 1/2 in., framed. Condition: Minor losses.